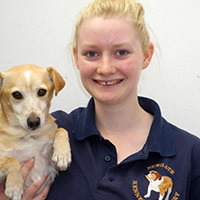 We have six managers here at Newgate Kennels, all manage a different area of the kennels. 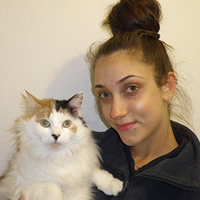 We have two general Animal Care managers, along with two Spa managers, a Reception manager and an Administration manager. At all times there is a Manager on duty. I first started working at Newgate in 1994. Throughout this time I have gained 6 NVQs. I recently completed my Sales and Marketing NVQ and look forward to applying this knowledge in improving our sales area. 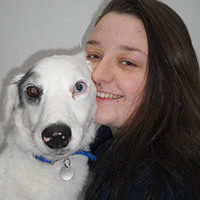 I enjoy working at the kennels as it has a friendly and caring atmosphere. My extra managerial responsibilities include the sales area, staff training and work experience students. In my spare time I like watching sports and sadly I am still waiting for Liverpool FC to win the premiership! I also enjoy spending time with my two Cocker Spaniels, Halco and Stanley and looking after Jasper my Amazon Green Parrot. I have been working at Newgate, Full time, since 2007. In this time I have completed 6 NVQs, the latest one being a Level 4 Management NVQ. 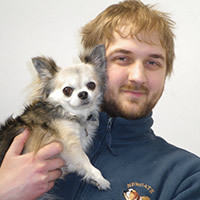 Along with assisting the resident builder with maintenance and building projects, my role as training and development manager means I help my colleagues work to the high levels of animal care we instill here at Newgate. I play Ice hockey in my spare time and support Arsenal FC. We have thirteen full-time Kennel Assistants. All have achieved or are working towards their N.V.Q. II in Animal Care. We use this qualification as our bench mark. All new full time Assistants have to commit to achieving this qualification when they are employed. 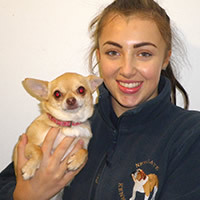 I started working at Newgate late 2015, before then I was studying animal care at Reaseheath College and while doing this I was working part time at a boarding kennels in Congleton. I've been working with animals since I was 14 and hope to continue working with them. Working with animals is infinitely preferable to working with people – their needs are more transparent and easier to fulfil. My favourite animal is the tiger, fortunately for me we do not have any at NK&C or I would leave work much lighter than I arrived. I like all dogs and do not really have a favourite breed. My hobbies consist of anything that is free, including reading, as well as slightly more expensive things such as art. I have recently discovered a liking, but no talent, for painting. My ambition is to continue being a truly wonderful and modest person. I started working at Newgate Kennels in November 2008. I enjoy working at Newgate as I get to look after different animals. My favourite breed of dog is a Bichon, which I have at home called Casper. I joined Newgate Kennels at the start of 2015. 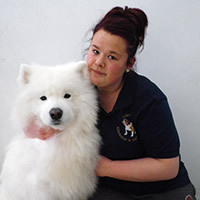 I am currently working towards my NVQ Level 2 in Animal Care. My favourite animals are dogs particularly Golden Retrievers, probably because I grew up with a pair. My favourite part of working here is walking all of our four legged friends. I started working at Newgate Kennels in September 2016. 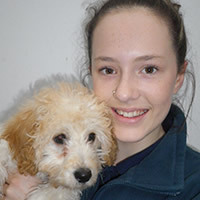 I have grown up with animals and from a very young age I knew that working in the animal care industry would be for me. After looking around for a kennels that offers apprenticeships, I found that Newgate Kennels offered a good training programe. I love working here and playing a part in each animals experience here. I started working at Newgate Kennels in September 2016. I enjoy working here because I love being able to walk all the dogs and chat to the cats. I love Border Terriers, however my favourite animals are rabbits. 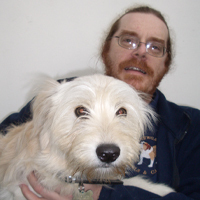 In my spare time I enjoy walking my Border Terrier Bertie, and looking after my two cats Spot and Sweep. I hope to one day run my own rescue centre. I started working at Newgate Kennels in December 2017. 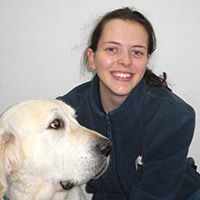 I’m currently working towards completing my NVQ Level 2 in Animal Care. I have a cat and two horses at home. One of my favourite breeds of dog is the Dogue De Bordeaux. 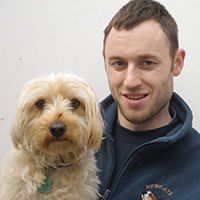 I have worked at Newgate Kennels since 2004. Since then I have achieved my NVQ in Animal Care. The reason I enjoy working here so much is that I get to see all the different breeds and to be able to look after them. My favourite breed is the Border Collie. In my spare time I enjoy playing and watching football and also playing on the computer especially Facebook. I am also a part-time DJ! 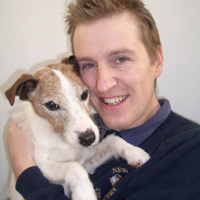 I started working at Newgate Kennels in 2008 because I have always had a passion for animals. While working part time I also attended college where I achieved my NVQ level 1, 2, and 3 in floristry but decided to join Newgate full time as I love working here so much. Since then I have completed my NVQ level 2 in Animal Care. I love all types of animals, so I guess all the pets that stay here are my favourite. I have a Staffordshire Bull Terrier at home, who I adore. I enjoy spending time with my family, friends and my little fur baby. 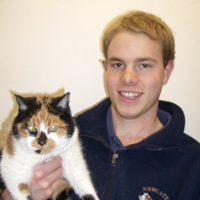 I enjoy working at Newgate Kennels because I love working with different types of animals. My favourite dog is a Cockapoo. I have one at home called Amber as well as two cats called Friday and Nutmeg. 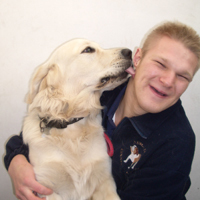 I have been working at Newgate Kennels since September 2006. I have achieved a BTEC National Diploma in sports. I love playing squash and football as well as watching football. 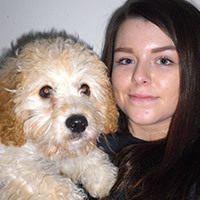 I started working at Newgate in September 2016 and am currently studying for my NVQ Level 2 in Animal Care. I really enjoy working with animals and look forward to taking on various job roles around the kennels. My favourite animals are dogs and my favourite breed is a Bernese Mountain Dog because they are so big and cuddly. It’s nice to get to know all the dogs boarding here, I am always learning something new and I am excited for my future. I joined Newgate Kennels in May 2015. I enjoy work because I love working with animals. My favourite breeds of dog are Jack Russells and Vizslas. My life ambitions are to set up my own doggy day-care, and rescue as many animals as I can in my lifetime. My hobbies are playing cricket, singing and going on dog walks. I have been working at Newgate Kennels since September 2013. I enjoy working here because I have the opportunity to care for different breeds of dogs and learn more about their breed. My favourite breed of dog is a Labrador as I have one of my own called Bolto. In my spare time I like going out with my friends, going to gigs and listening to music. I started working at Newgate Kennels in February 2016. 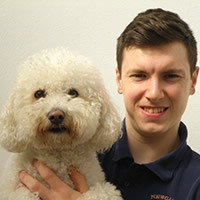 I enjoy working with all the animals that are at Newgate and my favourite breeds are Cocker Spaniels and Border Collies. 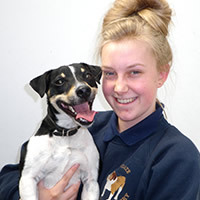 We have 15 part-time Kennel Assistants currently employed by Newgate Kennels and Cattery. All part-time staff have to be a minimum age of 15 years and receive an induction followed by a minimum 3 months apprenticeship. I love working at Newgate Kennels as I have a passion for dogs as I have grown up with them all my life. 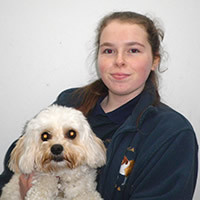 I began working at Newgate Kennels early 2015 and have learnt so much. My favourite breed is the Great Dane and St Bernard. I currently have a black Cockapoo called Ozzy who I adore. My hobbies mainly involve around sports including hockey and tennis, however I also have a passion for textile design. After completing my work experience with Newgate, I decided to apply for a part time job working at the weekend and I have never looked back. At home I have my own Black Lab who I love to take for a walk around the forest. 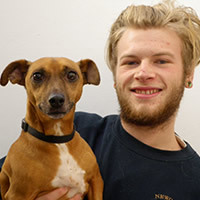 I have been working at Newgate Kennels since January 2018. Since I started working here I have learnt a lot of new skills, which I can use on my own dog. My favourite breed of dog is a Labrador Retriever as I have one at home called Bolto. In my spare time I like playing video games and socialising with my friends. I started working at Newgate Kennels in September 2017. I have two dogs called Casper and Larry. My favourite breed of dog is the Cocker Spaniel. Outside of work I represent the North West in netball and have competed all over the country and even Australia. I have worked at Newgate Kennels since 2014. My favourite breed of dog is a Newfoundland and I have a Yorkipoo called Tilly who is very cheeky and was first brought to Newgate Kennels as a rescue by the RSPCA. I am currently hoping to go to university to study History. I have been working at Newgate Kennels since February 2017. I enjoy grooming dogs, and taking them for walks. My favourite breeds of dog are German Shepherds and Huskies. At home I have one dog, three birds and a tarantula. I began working at Newgate in July 2015 due to my love for animals. I enjoy this job as I am able to interact with all the dogs and cats which are boarding. My favourite animal is a horse and in my spare time I go horse-riding whenever I can! In my future career, I would love an involvement with animals.